John Patrick Leary is Associate Professor of English at Wayne State University in Detroit and visiting faulty at the University of Lisbon in Portugal. 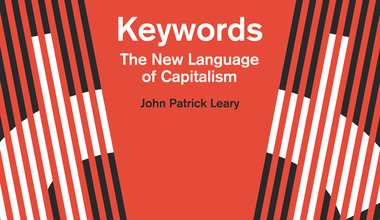 He is the author of A Cultural History of Underdevelopment: Latin America in the US Imagination (University of Virginia Press 2016) and Keywords: The New Language of Capitalism, out now from Haymarket Books. Once synonymous with slavery, the ideology of ‘human capital’ turns the toil we do for our bosses into something we do for our future selves.